A reminder that we are all invited to attend the SCEG meeting tomorrow evening, with a specific trainee session starting at 18.30. This interactive EP teaching event takes place the day before Europe AF, for which registration is also open. A special discounted price is available for both events. This course will teach important fundamentals and basic principles of diagnostic and interventional cardiac electrophysiology. 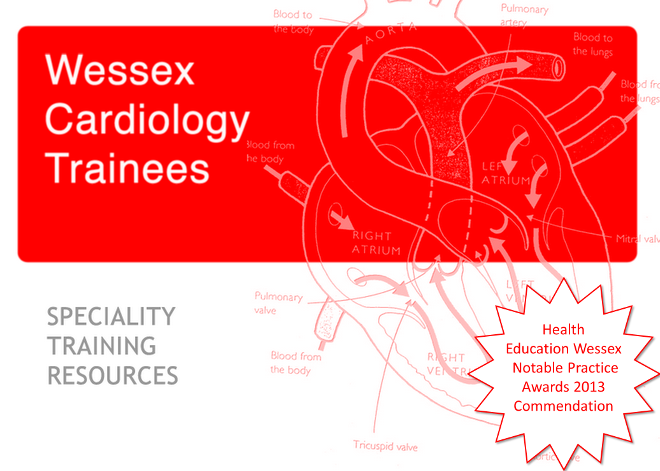 This exciting new course is designed to provide candidates with a thorough grounding in the latest surgical materials and skills relative to the implantation of cardiac rhythm devices. It has been attended by Wessex trainees and has received good feedback. This symposium is entitled 'A Year in Cardiology 2011’ and will be held on Wednesday December the 14th, 2011 at the Royal College Physicians in London. The basic premise is to give Consultant Cardiologists and Cardiology SpR's a succinct review of all the important developments/changes in cardiology during the past year from all the various conferences, with emphasis on those that affect daily clinical practice. Paul Kalra has confirmed the training days for the rest of this year. Please cancel clinical commitments for the daytime meetings. There is no delegate fee for this 2 day event, with lunch and refreshments included. Each day must be booked separately. Please click here for more details .